High-quality cotton short sleeve tees - rich durable silk screen front and back. 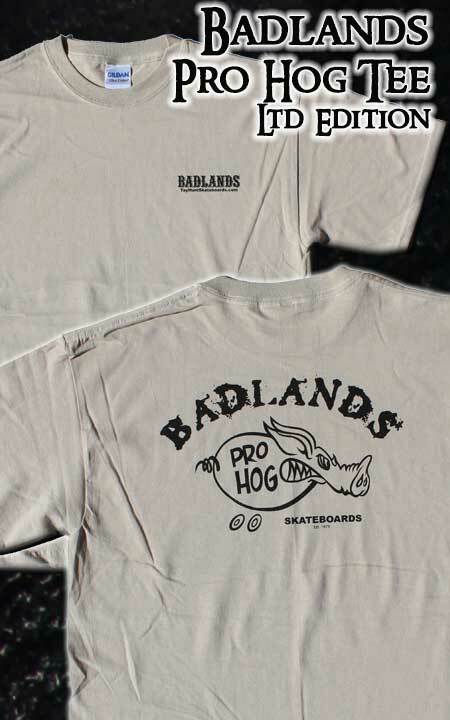 Khaki or Cement color tees with black Pro Hog logo screened on back; Badlands logo on front. Limited availability of sizes on hand --adult sizes Medium only. Score this shirt at a special discount price when ordered with a Badlands Deck or Complete -- See upgrade option on each deck or complete item and order at the same time to receive the special pricing.